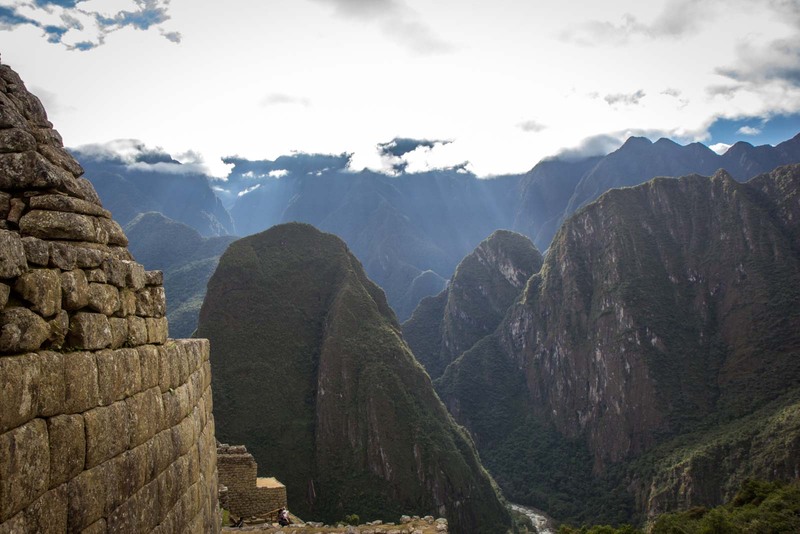 The first thing that strikes you about Machu Picchu is the size. The view of the buildings in the foreground of the iconic mountain is not a surprise – everybody has seen that image of Peru’s most famous landmark dozens of times. But the result of that angle being so popular for photography is that you rarely see the site from other perspectives. Finally, standing here myself, I can see the entire complex and am amazed at what lies before me. The sun is just starting to rise over the mountains and there’s a soft orange glow as I arrive at the archaeological site of Machu Picchu. I’ve woken up early and caught a bus from the nearby city of Aguas Calientes for the 20 minute ride up to the top. Aguas Calientes lies on a river that winds around like a snake through a valley and this geography is significant for the sacred site above it. 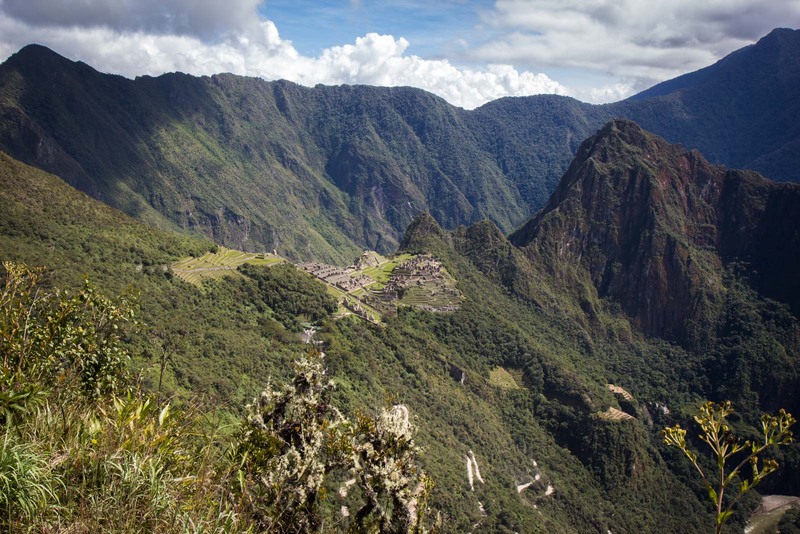 The layout of the mountains around this valley creates the impression that the peak Machu Picchu is on is an island floating in a lake made of air, with the shoreline produced by even higher peaks circling around it. This is presumably why the Incas chose this site to build their city, with one theory that the mountains form a map for significant stellar bodies. I say ‘presumably’ because nobody is completely certain what Machu Picchu was. A mystery that just adds to the magic of the place. 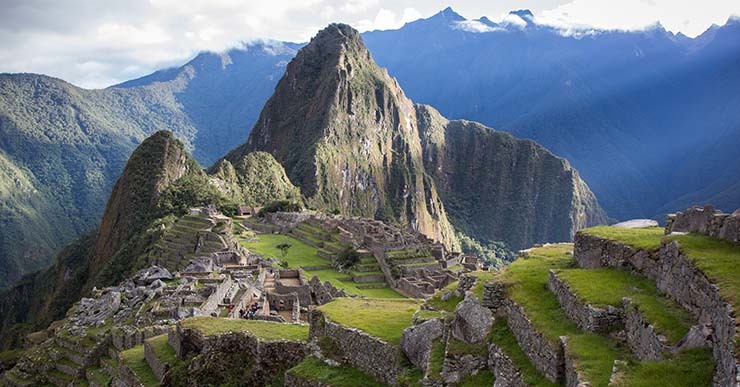 The most common explanation for Machu Picchu is that is was a sacred city for worship and religious administration – the Vatican of the Incas, if you like. And there’s plenty of evidence to support this idea. However, some archaeologists think it may have been a bureaucratic outpost, an agricultural testing lab or even a prison. It’s quite likely it had elements of all these theories within the one complex. And that’s why it is such a fascinating place to visit. Not just because of the aesthetics – which are of course, stunning, with a beautiful and almost unworldly blending between the buildings and the environment so you are sometimes are unsure where the natural ends and the unnatural begins. But also because there are so many of these buildings and they each have their own significance. 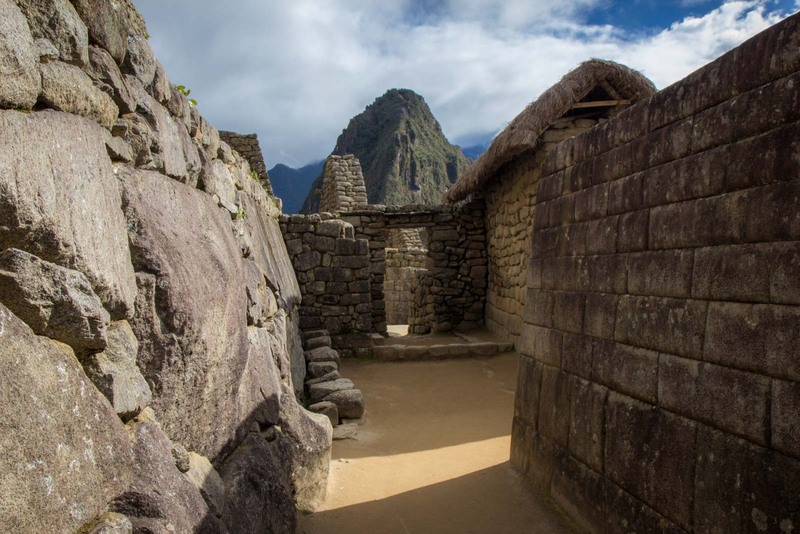 Officially, there are about 200 buildings in the Machu Picchu site but, seeing as most of them now don’t have roofs, it feels like more because each room looks like its own mini structure. 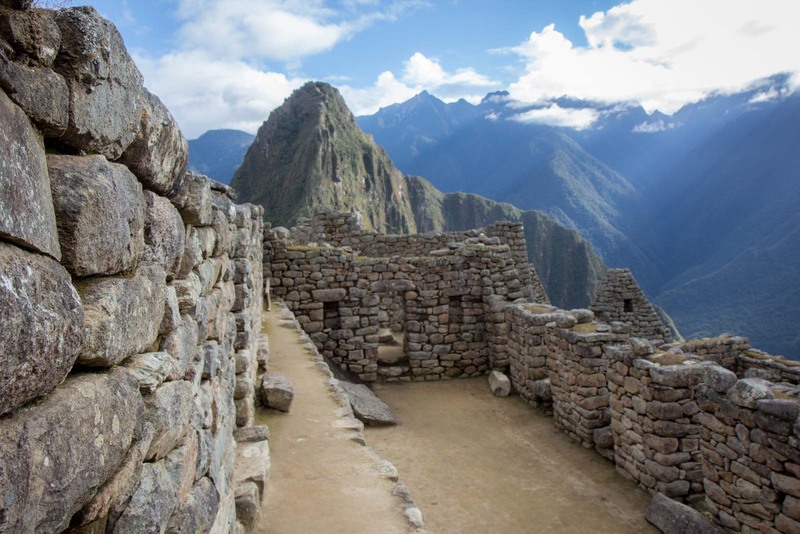 The most central buildings are, as you would expect, for the most important purposes and this is where you’ll find the Incan Emperor’s living quarters and the most sacred temples. As you move outwards, you find more temples, administrative buildings, then industrial areas then residential areas and then the agricultural terraces. 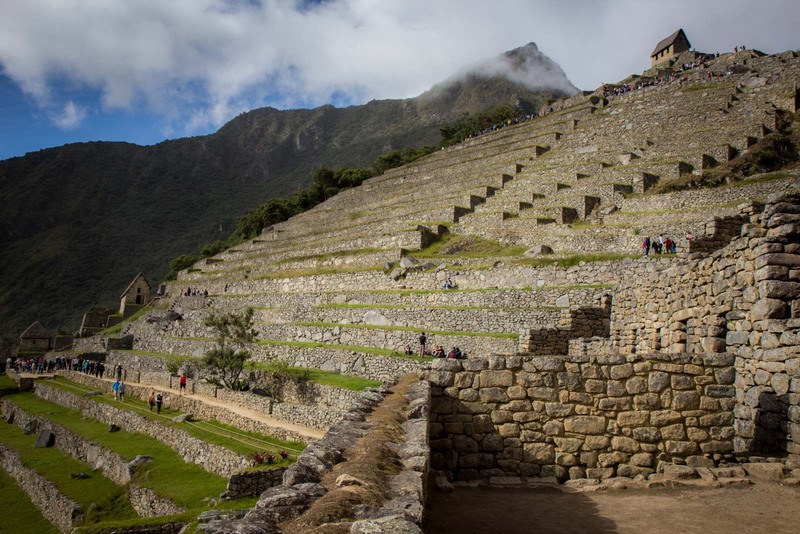 These terraces are clearly separated from the other more urban part of the sacred city in a physical representation of the class divide in Incan society that promotes the emperor to deity status and farmers to servants. It takes quite a long time for me to explore the site. I’m here with my G Adventures group that I walked with for the Lares Trek and we spend the first couple of hours at the site with our guide showing us through the most important spots. A certain amount of imagination is needed to create an impression of the city when it is full – gold and silver hanging everywhere, great costumes for the high priests, a vibrant industrial sector and messengers running in and out through the main gates and across mountains to relay messages to other outposts along the great Incan road system. I spend the next couple of hours alone, looking at some of the areas in more detail and walking up one of these ancient Incan roads to the Sun Gate to get an overall view of Machu Picchu. Another reason this site is so significant is because it is really the most intact city of this vast empire that was ransacked by the Spanish conquistadors. They never found it during their 16th century invasion and it was lost beneath a jungle that grew over it for hundreds of years. 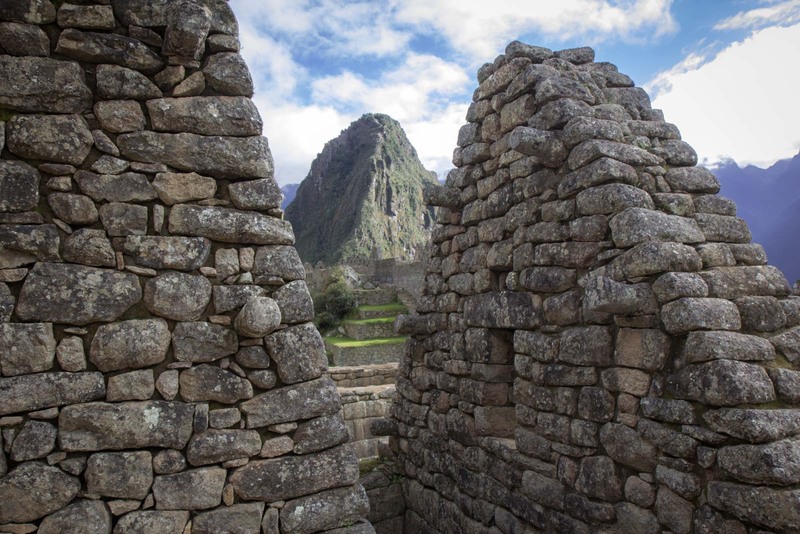 Although some local people in the area knew of the complex’s existence, it wasn’t until 1911 when American historian, Hiram Bingham, found it that Machu Picchu was truly revealed to the whole world for the first time. 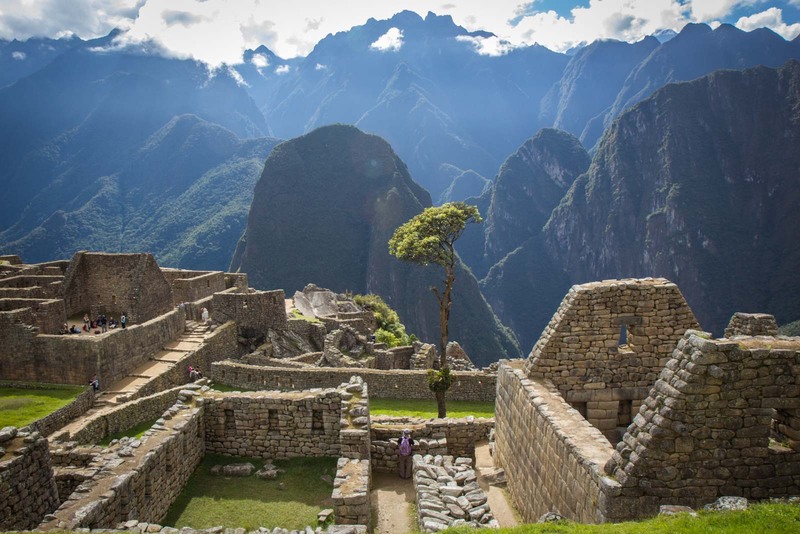 Of course, the site is now one of the most legendary landmarks on the planet and managing the tourist numbers is something the Peruvian authorities will have to tackle with more fervour at some point. Although it is relatively empty when I first arrive early in the morning, by the time I leave around lunchtime there are thousands of people here. The site is quite large and spread out so it never really feels too crowded (except at everyone’s favourite photo spot) but the wear from thousands of pairs of shoes every day will have an effect over time. Perhaps there will one day be restrictions on visitor numbers or perhaps more areas will be closed off. Either way, this truly is one of the highlights of my travels. Machu Picchu does not disappoint. Excellent. Now that you wrote it I realised I only saw pictures with a similar angle. Thanks for sharing, this is very interesting to get other perspectives. Great photography! These pics also took me back! I was mesmerised by Machu Picchu when I saw it. Luckily there had been a train strike the day before so there weren’t many people in town the day we went up. But by midday, much like your experience I imagine, bus loads of tourists turned up and the stampedes began. I doubt it will remain open forever, otherwise it will crumble. 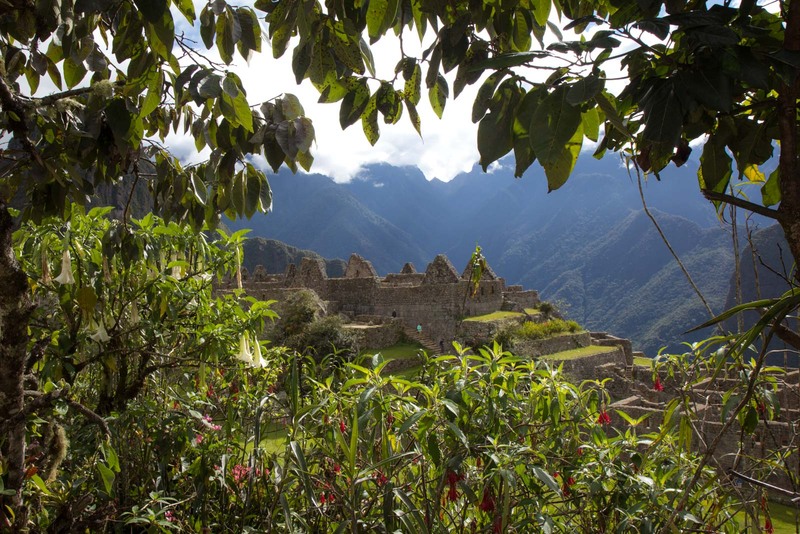 And by the way– taking the bus up to Machu PIcchu is cheating!! I more or less ran up, cutting across the zig-zag roads, so I could get to the top in time for sunrise! Great post, great pics. And AWESOME blog! I haven’t been to Machu Picchu, but so many of these types of sites are much larger than you expect. I think we see a particular picture, like the one of Machu Picchu or the Indiana Jones photo of Petra and we just don’t realize the sheer size of these ancient sites. Beautiful photos! I have yet to make it to Machu Picchu, but it’s high on my list. I definitely want to hike up, see the sunrise, and make it there before the hordes of tourists arrive. I love all your pictures and your blog! 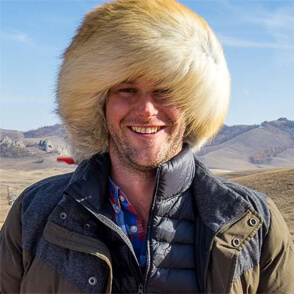 Wow, you got some stunning photos! It was fun to walk through your experience with you! Thanks for sharing! Those are some stunning images! Seriously! And free of people too! 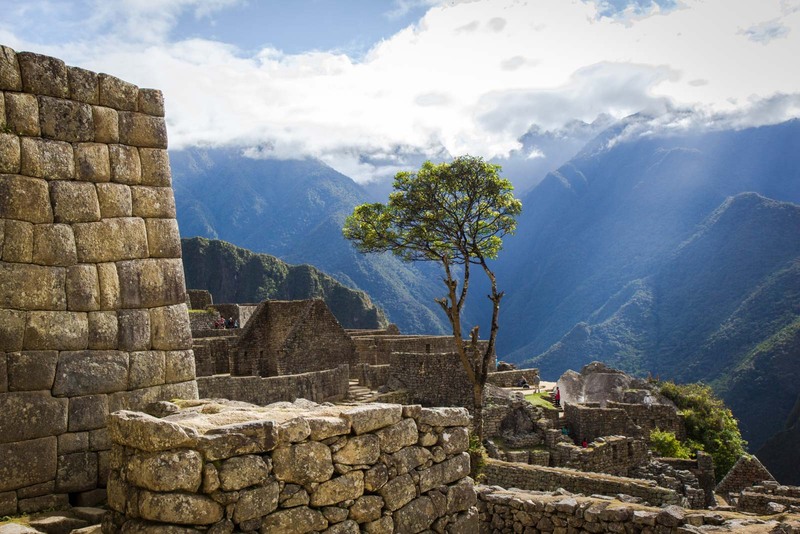 I haven’t been to Machu Picchu to be honest I had never heard of this place before, but after looking at your photos and reading your article it is definitely getting added to my wish list. Thank you for the information. Really great view. How can we arrive to this place. I really love the pictures. 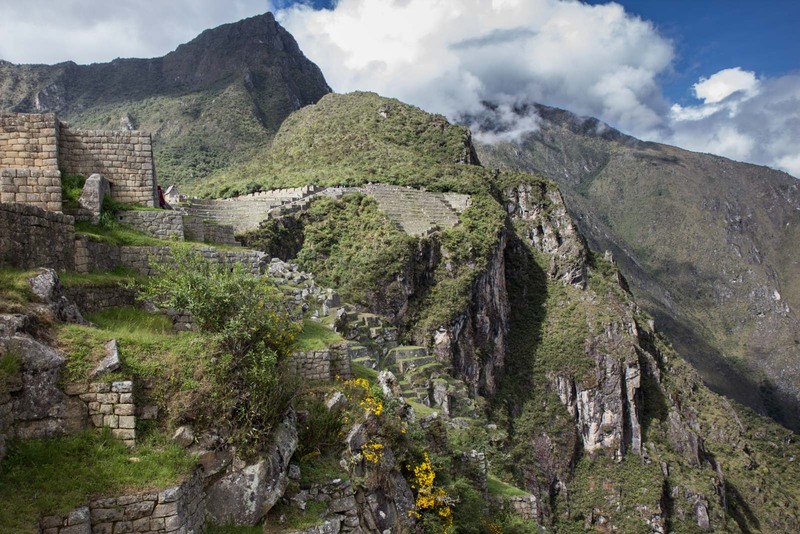 There are a couple of ways to get to Machu Picchu. 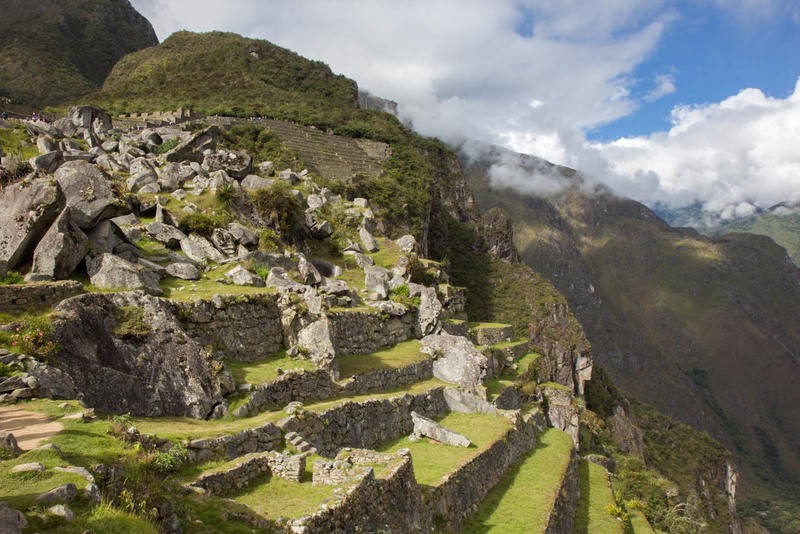 You can walk there along the Inca trail, which takes a few days (and is very popular). But you can also get the train to Aguas Calientes and then get the bus up. I would recommend staying overnight and going up at sunrise. The view is spectacular and there are a lot less people too! Good morning Michael, congratulations, i send you my best thoughts and i hope ull have many successes in your life and in your investigation labor about MacchuPicchu. Im very happy to find here in google your greta pics and cards about a great place thaat was builded by humans ,Incas culture exactly or Quechua Culture properly mention build this place we dont know how but here is it, i think that anyone can undersatnd it only if you put any of your solu within your words then youll get it .ok be lucky and you have my support any time you need it. My name is Hugo and im architect . I like your page. see you. thanks for all your pics rounding all whole world. 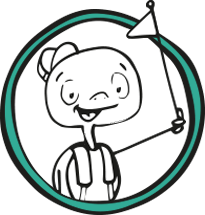 Thanks so much for stopping by, Hugo, and for your great comment. 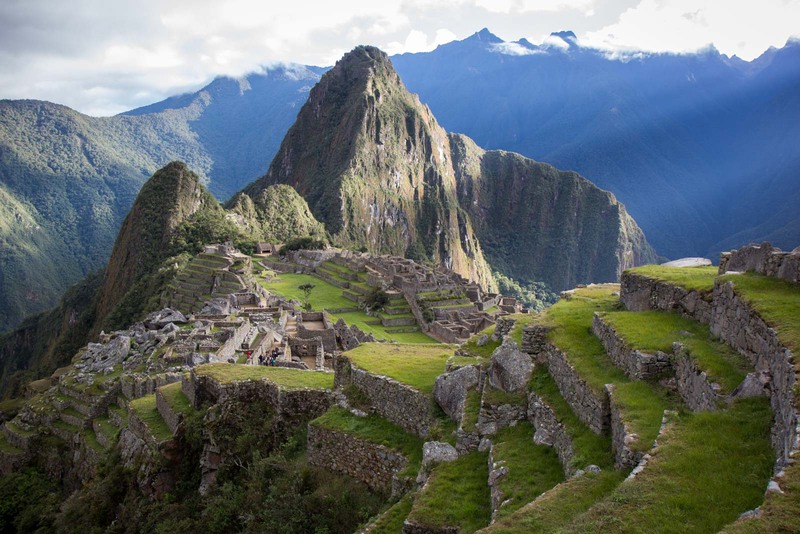 Machu Picchu is indeed one of the coolest places built by humans before modern technology. I am very lucky to have been able to see it! The “Old Peak” is magnificent. I just hope it doesn’t become another “Disneyland”, but sadly that’s the road it’s headed down on. I really hope they do something to manage the numbers at some point. Apart from ruining the experience if there are too many people, I’m sure it’s doing damage to the site. While it’s fair to let as many people see something like this as possible, there has to be a limit. I had the same feeling when I revisited Angkor Wat in Cambodia almost a decade after my first visit and it was like a different place because of the increased crowds! Great post and photos. My husband and I were also at Machu Picchu earlier this year. I was, just looking around to find some other opinions, glad I found your article. Thanks – and I’m so pleased you’ve been there and seen it for yourself. It’s quite different to what you expect, isn’t it? I had a really narrow perspective based on photos but there’s so much to see there! My dream is to visit this place- coming with my 2 beautiful daughters. Need a plan!! You guys will have an amazing time. It really is a dream destination… and for a good reason! You did need to plan a little in advance but just book in one of the walks and you’ll be set!